Australia is a place of wonders and this country is one of the top touristic countries that provides memorable experiences. The Land Down Under consists of stunning cities & spectacular attractions. You won't get disappointed because there's a lot to see in Australia. It has so many splendid attractions that you may have never heard of. So when people plan to go Australia, they just have one city in mind and that is 'Sydney'. Sydney has become so common that tourists flock into this place in large numbers. But along with this city, there are many under-rated highly attractive cities that will make you fall in love with them. These small cities are spread across the Greater Australian States which eventually increases tourism rate of this country. So before you pack-up and get on board, here's the list of some spectacular cities that I have shortlisted. These cities are just splendid in terms of nature, transport, infrastructure, food & wine and other factors. Do consider this list as this will give you a brief idea about the speciality of each city. Great Barrier Reef – Great Barrier Reef is the golden attraction of Australia. It is one of the top most visited places in the world and truly known for giving life-time experiences. It is considered to be the oldest living coral reef which was formed 10,000 years ago right after the era of Ice Age. Considering the fact that it's the highlight of this country, it is titled as the 'World Heritage Site' & 'Wonder of the World'. Great Barrier Reef is the longest reef that stretches over more than 2,000kms on the Queensland coastline. It almost covers the entire area for about 135,000 square miles. The coral reefs here are not the only thing which you're going to see. If you opt to do scuba dive or snorkelling, then you would see over more than 2000 species of flora & fauna and 500 species of coral polyps. There is also an option to book a scenic flight which would give you an aerial view of the Great Barrier. The views are just breath-taking which would leave you stunned. After your visit to Great Barrier, don't forget to visit towns of Cairns and Townsville which are nearby and easily accessible. Fraser Island – Frazer Island is also considered to be a 'World Heritage Site' of Australia. The reason why is because this island forms a unique part of Australia's rich culture, traditions & natural resources. This place is an exceptional beauty blessed with abundant nature & stunning white beaches. It is an untouched, unspoilt and a spectacular destination with over 100 freshwater lakes. Native rainforests & gushing waterfalls forms a part of this scenario along the banks of turquoise water. This island has a long extensive coastline that stretches 123 kilometres in length and 25 kilometres in width. It is also considered to be the largest sand island in the world because of its area - 184 000 hectares. This place becomes the only island in the world that grows tall rainforests on sand dunes. This ecological significance can only be seen here. So if you're in south-east of Queensland, then make sure that you add this island on your list. Sydney – Sydney is considered to be the Australia's premier city which covers the area of approx. 6.15 square kilometres. It is a place which has increasingly improved tourism over the years. It is one of the most common tourist destination that you will find on anyone's list. Because of the gorgeous and picturesque views, no one wants to leave this city out from their list. Sydney is home to the iconic Sydney Opera House & gorgeous Sydney Harbour Bridge. 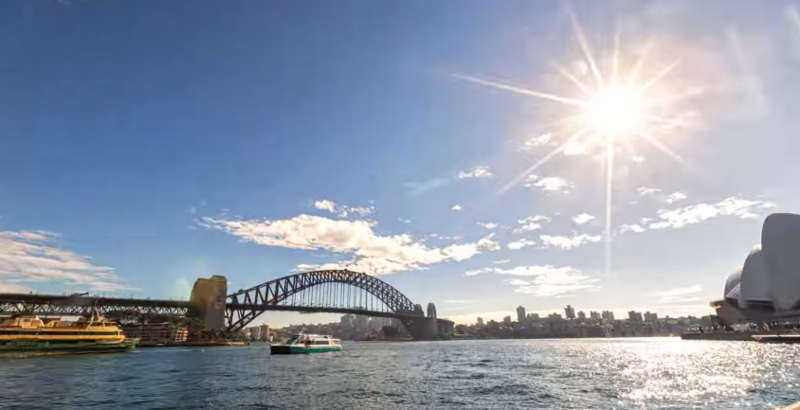 This two places are just enough to create massive income for Australia's tourism. Also other attractions here include - Darling Harbour, AMP Tower, Bondi and Manly (Sydney's best beaches) and The Rocks. Sydney is also home to vibrant art & culture, cuisine and world-class restaurants. If you're planning to come down to Australia, Sydney will give you the true experience of this country. Darwin – From incredible mornings to spectacular evenings, Darwin could be an ideal place for you if you just want to relax & spend some time in Australia. Darwin is situated in the Northern territory where you would find the perfect blend of the Dutch and the French styled buildings & cafes. Darwin served as a naval allied base during the World War II and that's why tourists here are so fond of knowing about its history. This place is really vibrant for art & culture that showcases aircrafts & planes which were used in the war. The city is filled with Aboriginal cultures where you would see people's different language accent & cuisine, galleries and so on. There are many attractions here that includes - Darwin Crocodile Farm, Devil's Marbles Conservation Park, Arnhem Land, Litchfield National Park, Mindil Beach Sunset Market & Kakadu National Park. Melbourne – Melbourne is another such destination which is very common amongst tourists. But this place is a complete paradise. The whole of Melbourne is covered by beautiful turquoise ocean water, shops & stalls, eateries, arts & galleries and much more. Experience the eclectic nightlife of Melbourne which would leave you stunned. This metropolitan city is visited by millions of people in a year. The tourism here has rapidly increased because of the top attractions that you can see. It includes – Melbourne Cricket Ground (highly visited by travellers in one day), National Gallery of Victoria, Royal Botanic Gardens, The Immigration Museum, Treasury Gardens, Gold Treasury Museum, Scienceworks & Melbourne Aquarium. 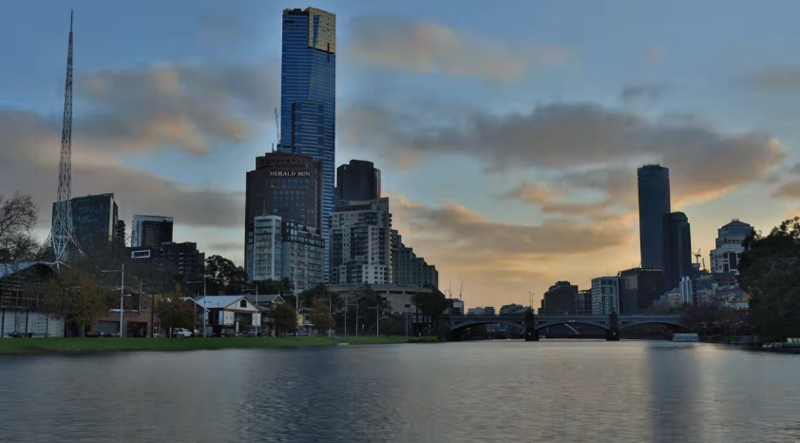 No matter how many times you visit Australia, Melbourne has to be on your list every time. Australia is an amazing country to visit. There are many good places in Australia to have a perfect holiday. To have a holiday, tourists need to hire a good professional travel agency; Arabian Time Travel Tourism is one among them.